Stem cell treatments for lung diseases may have taken a big step forward according to a pair of studies published earlier this month. In one animal study, researchers did transbronchial biopsies, sending miniscule tweezers down the throats of rats in order to obtain lung cells. The researchers were able to culture tens of millions of cells and inject them into rats that had a condition similar to idiopathic pulmonary fibrosis. Rats that received the injected cells showed less lung inflammation and overall healthier lung cells than those that didn’t receive the cells. Both studies, published in the journals Respiratory Research and Stem Cells Translational Medicine, built upon research into stem cell therapies for heart diseases, and less successful work on lung diseases like emphysema. Both offer new hope for fibrosis patients, whose current treatment options are medications to reduce symptoms, or a lung transplant. The new research raises the possibility of reversing the impacts of fibrosis and similar diseases that cause lung inflammation, which gradually damages lung tissue and makes internal organs less able to transfer oxygen to the blood. It’s also the first time stem cells have been gathered and reproduced using the minimally invasive biopsy method, researchers said. 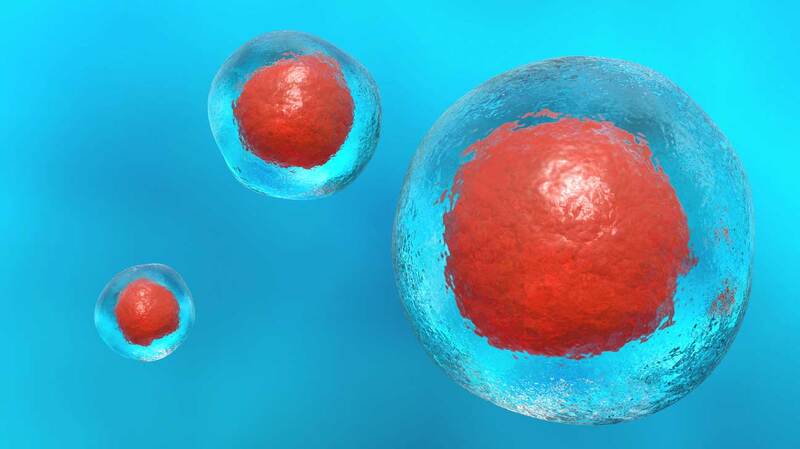 Lung stem cells are most often obtained surgically. That requires putting the patient on a ventilator and cutting out a small piece of lung, said Dr. Jason Lobo, an assistant professor at the University of North Carolina School of Medicine, and co-author of the new papers. Using the method employed by the researchers, Lobo told Healthline, medical professionals can tweeze out a few cells and send patients home the same day. However, “minimally invasive” may be a relative term. “It’s not as invasive as opening up your chest, but if you’ve ever had a tube stuck down your throat, you wouldn’t call it noninvasive,” Dr. Norman Edelman, senior scientific advisor to the American Lung Association, told Healthline.